Ordering up some burgers for the ladies! After a long, hot day aboard the Wild Hearts Dolphin Cruise, team Bite and Booze hopped over to The Gulf. 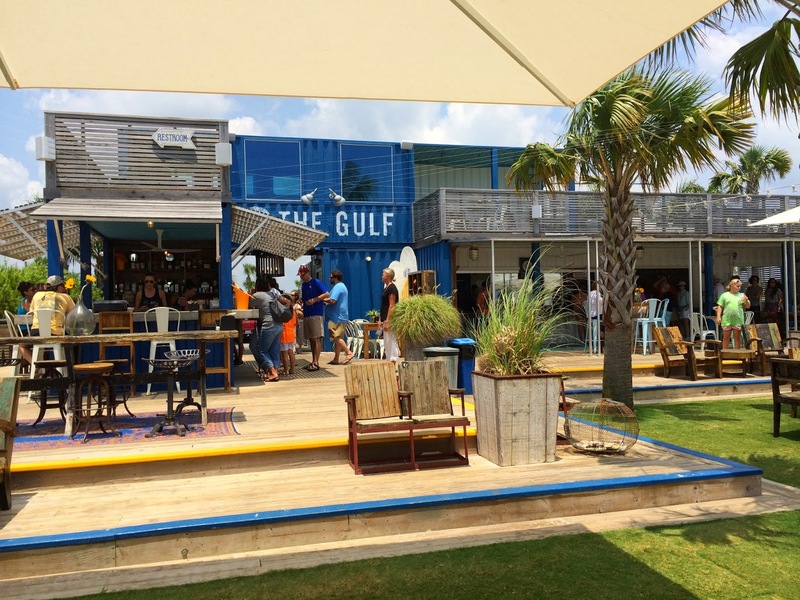 Made out of shipping containers with a gorgeous outdoor seating area, The Gulf is serving up juicy burgers, fresh fish dishes, and other delectable eats. 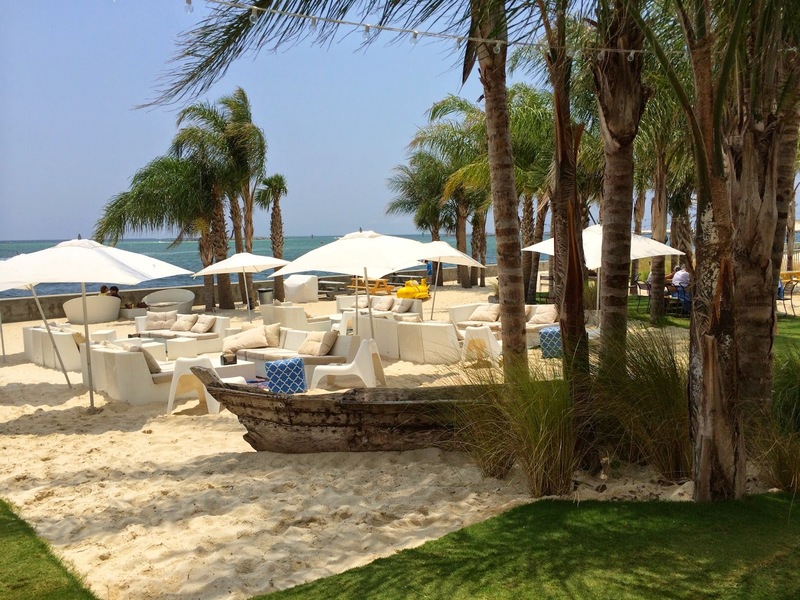 The beach-side restaurant has a nice lawn as well as some lounge furniture on the sand. It's absolutely a funky spot and I would recommend it to anyone. We had the pleasure of trying their Gulf Red Snapper Ceviche. Citrus juices combined with a bright pico and super fresh Red Snapper on a crisp tortilla chip will set you right after a decent trip on the water... and don't forget the mojito! 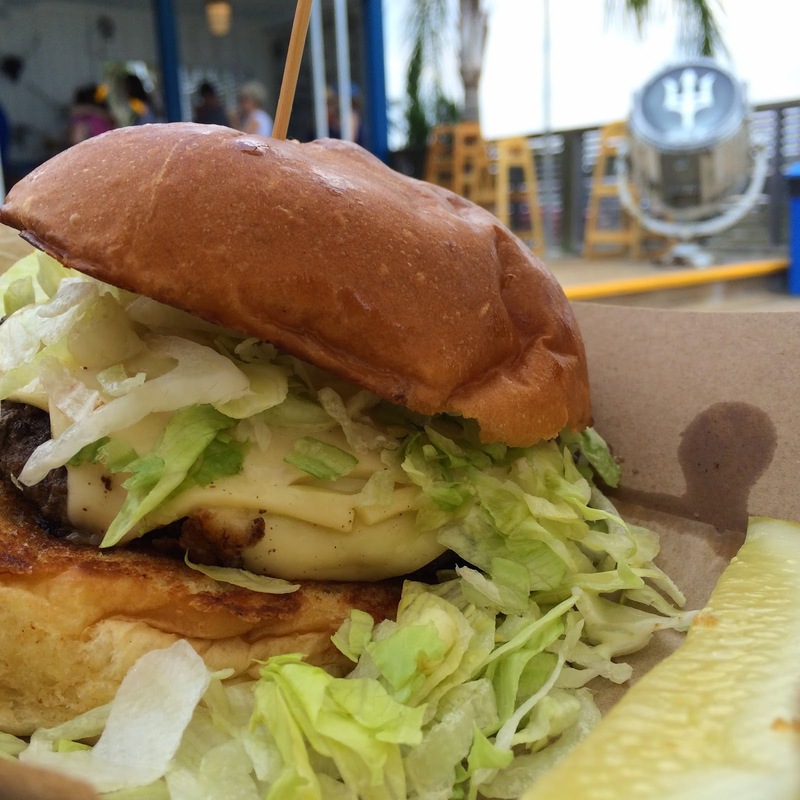 The Gulf's burgers presented a simple but tantalizing flurry of flavor. A buttery, toasted brioche bun cradled the juicy patty that bathed in aioli and melted pepper jack cheese. The Gulf provides a really chill spot right on the water in Orange Beach. It's welcoming atmostphere provides a great place to relax and watch all of the boats go by. 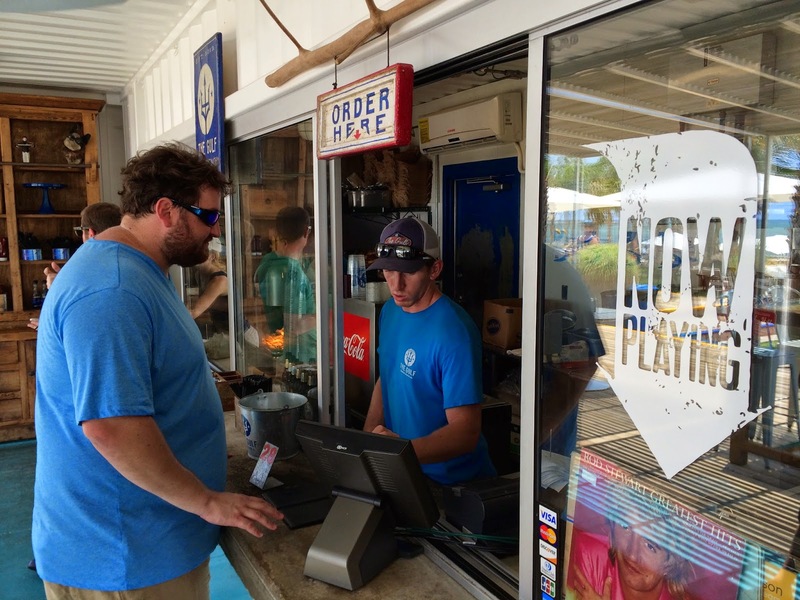 They have a few special night life activities, but it's mostly a great lunch spot the whole family can enjoy. Especially with the mojitos. Mojitos for everyone.